Last time we went from a top 5 to a top 20. Well, this time we decided to make a top 40 cooperative board games list to give you even more options! As always, I put the list together and then made some adjustments based on my group’s feedback. We decided to only include fully cooperative board games this time around, so you won’t find any semi-cooperative games, One vs. Many games, or games with potential traitors (like Dead of Winter). Let’s get to it, shall we? These are the 40 best cooperative board games that we’ve played! Check out our Top 5 Co-op Deck Building Games! Check out our Top 10 Co-op Games of 2018! 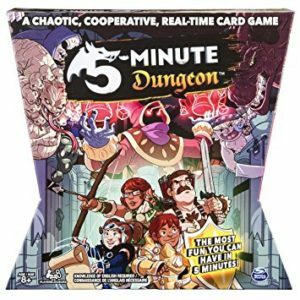 We’ve had so many exiting gaming sessions with 5-Minute Dungeon. I think I’ve personally played it about 40 times and I still haven’t beaten all of the bosses! This is my group’s favorite real-time game right now and something pretty special would have to come along to replace it. If you don’t mind the stress that a lot of these types of games bring, chances are you will have a great time playing 5-Minute Dungeon. It’s challenging, the narration in the app is awesome, and it’s highly replayable. There’s also a Marvel version that came out in 2018. 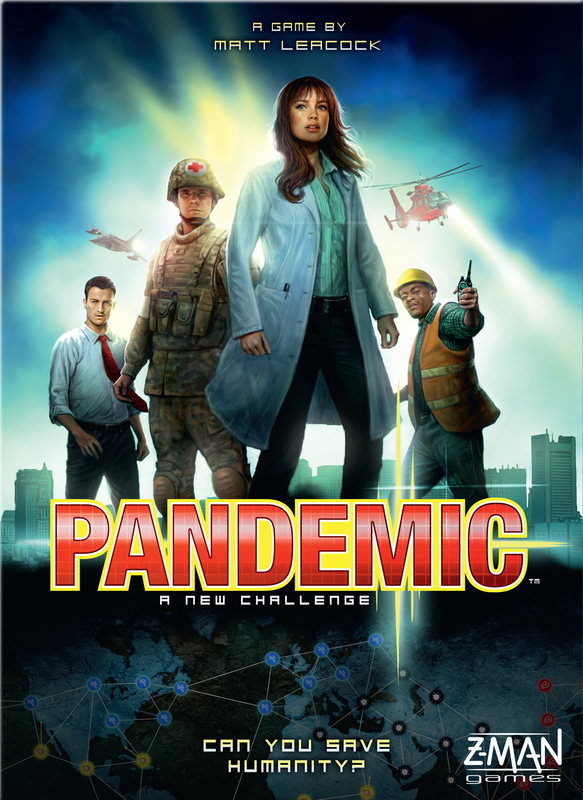 We’re including ALL of the Pandemic games in this spot, including the original game, the Pandemic Legacy, Pandemic Iberia, Pandemic: The Cure, and all of the other ones Matt Leacock has created. I’d still recommend the original Pandemic (along with the excellent On the Brink expansion) to newer gamers and anyone that hasn’t played any of these games yet, but Legacy (Season 1 especially) is the best overall experience. 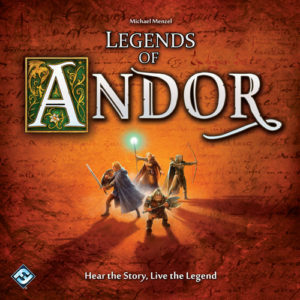 Legends of Andor is still one of the best cooperative adventure board games around. It has a great look to it, it tells a cool story, and there are some tough puzzles to work through. 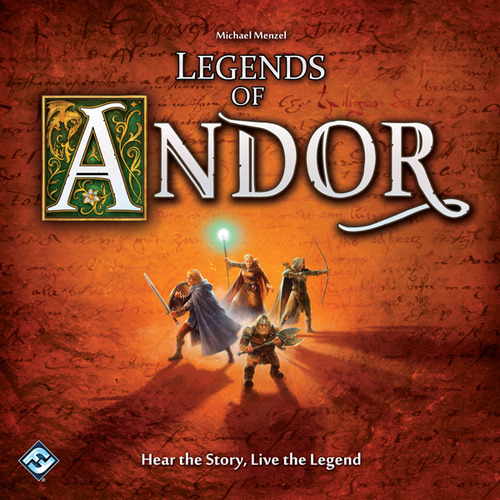 There are also some excellent Legends of Andor expansions that add in new Legends and/or boards and give the game additional replay value. 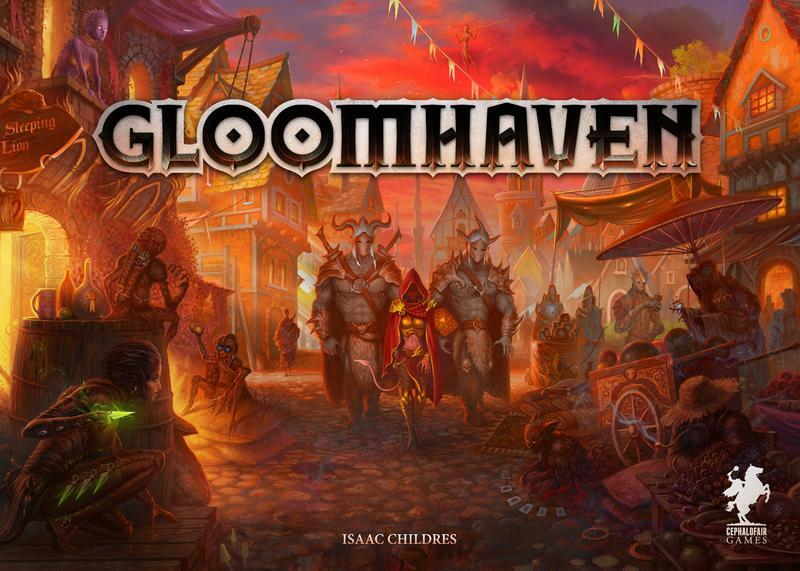 I still haven’t written my Gloomhaven review yet, which my group likes to laugh at me about, but I said from the beginning that I won’t review it until I’ve completed a full campaign. We’re “only” about 40 hours into the 120+ hour campaign and it has been a tough one to get back to the table, so it might be a while before that review gets posted. Gloomhaven is definitely one of the top cooperative board games around, so it makes sense that it currently sits atop BGG’s rankings. It has arguably the best action-selection system around and it’s extremely satisfying watching your characters improve over time. This would probably be my “stranded on a deserted island” game since there is so much content in that huge box and because it plays so well at all player counts. If you have a group that can commit to playing through Gloomhaven, it’s definitely worth owning. The Mind has gone over well with everyone I’ve taught it to. It’s my group’s top limited communication game and it was our highest-rated game of 2018. If you read the rules you’ll think it’s too simple to be special, but once you get it to the table chances are you’ll be surprised by how unique the experience is. 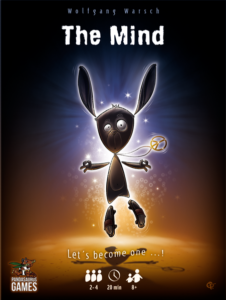 I think everyone should play The Mind at least a couple of times to see if it’s for them, especially since it only costs about 10 bucks. Too Many Bones has some of the nicest components that you will find in the board game world, and the gameplay is awesome as well. It does take some time to get used to all of the characters’ unique abilities and the “dice-building” concept, but it’s worth it. 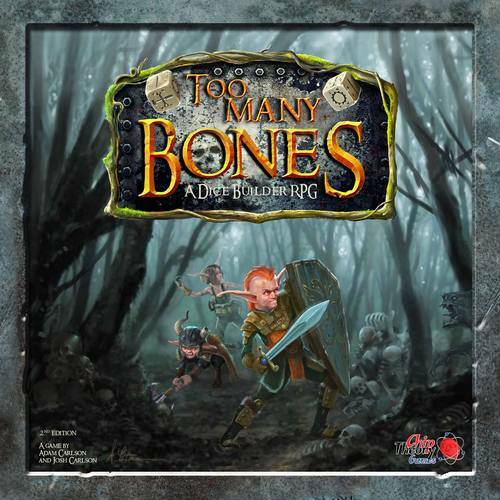 Chip Theory Games also recently released a two-player version of Too Many Bones called Too Many Bones: Undertow, which works as both a standalone game and as an expansion to the original. 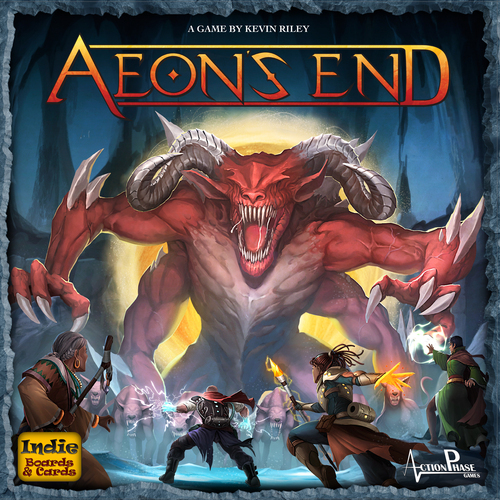 Aeon’s End has been our top cooperative deck building game for a while now. It has a unique spell-casting mechanic, the variable turn order adds in extra tension, and it plays at a nice pace. This is a great game to get if you enjoy fantasy games and deck building games. 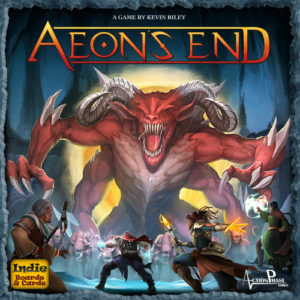 There’s actually a lot of other Aeon’s End content out there now, including small-box expansions, the standalone expansion Aeon’s End: War Eternal, and Aeon’s End: Legacy. It’s going to take a pretty special game to replace Sherlock Holmes Consulting Detective as our top crime-solving game. 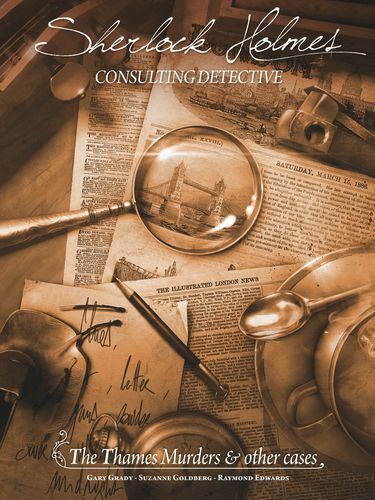 The cases are tough and memorable and they do a great job of making everyone feel like real detectives. If you’ve been a fan of other detective games, such as Detective: A Modern Crime Board Game, or the murder-mystery genre in general, you’ll definitely want to check this one out. Ghost Stories is still one of the toughest cooperative board games that we’ve played. Our win percentage after nearly 100 games is about 20 percent, but that just makes us want to keep playing it. The artwork is excellent, the game plays smoothly once you know the rules, and the random village layout and random assortment of ghosts help to make each game feel different. If you don’t mind very difficult co-ops, we highly recommend getting Ghost Stories. There still isn’t a better survival game or adventure game than Robinson Crusoe: Adventures of the Cursed Island. After every win or loss (mostly losses), we spend about 10 minutes chatting about the story that played out because the games always seem to play out differently. Even if it only came with one scenario in the box (the newest version has seven), Robinson Crusoe would probably still sit in this top spot. It’s highly thematic, every decision you make feels important, and you have to work hard as a team to have a chance to win. Yeah, it’s amazing. What are your favorite cooperative board games? Are there any that you’d recommend that aren’t on this list?